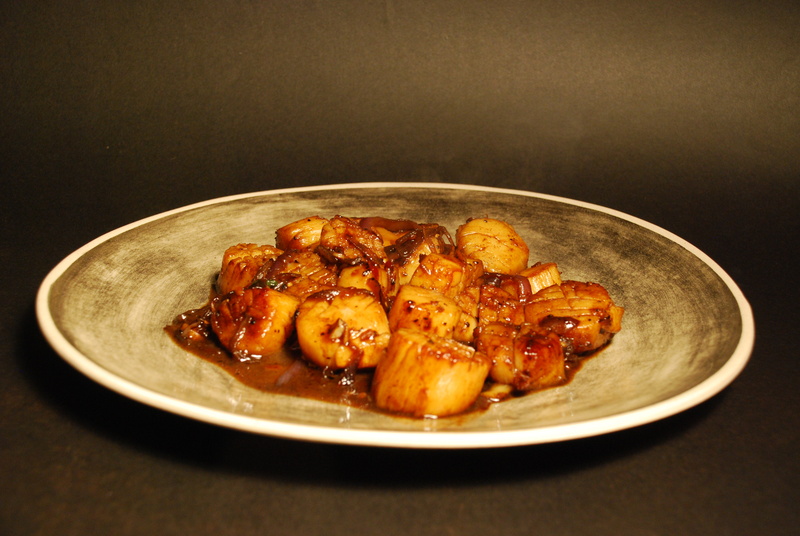 Here is a really beautiful fast way to cook scallops. It has Thai flavors with fish sauce, oyster sauce, and basil. They are sure hit and take only a few minutes to cook! 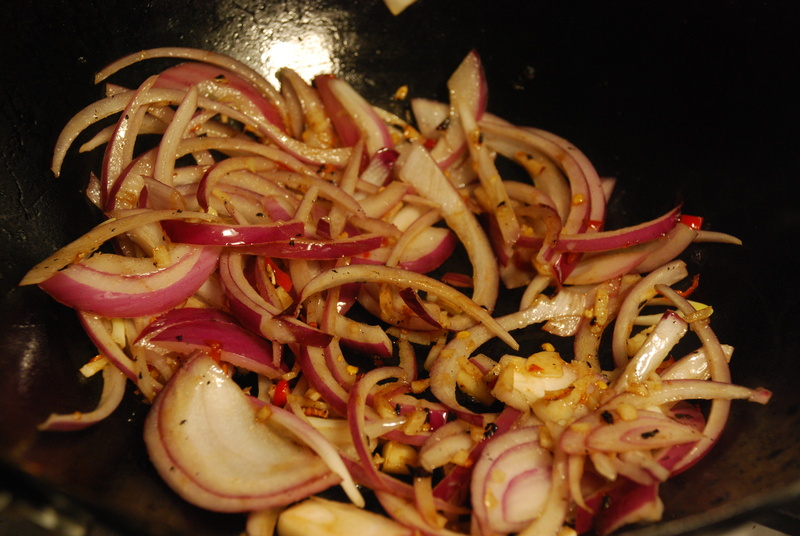 I like serving them with some crispy green veg quickly stir fried and a bit of jasmine rice. 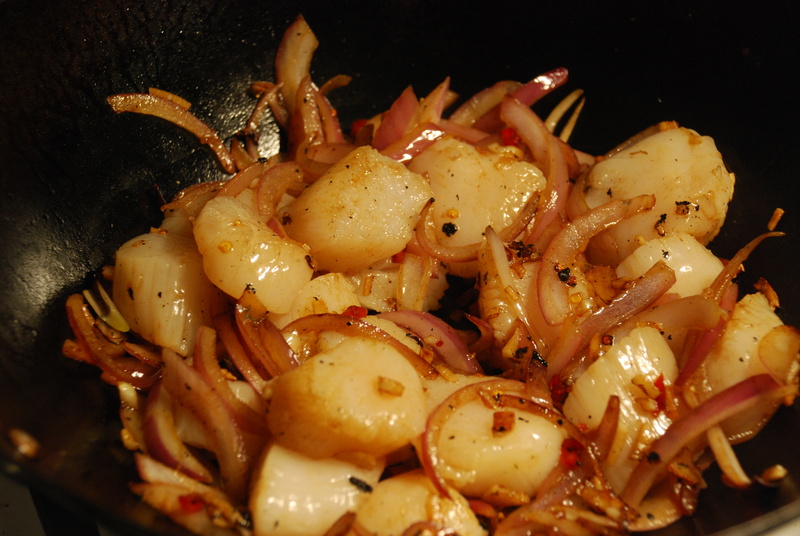 scallops start to turn golden at the edges and get some charring marks. 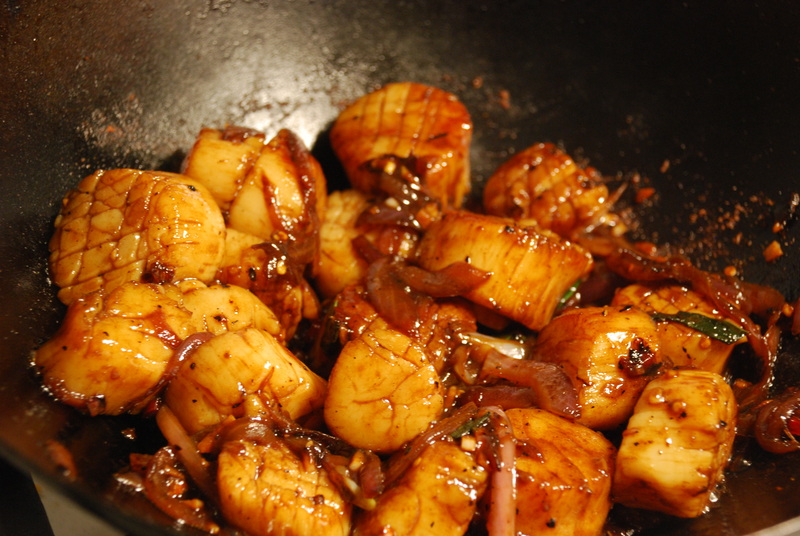 well and stir-fry 1 minute, or until the scallops are just cooked through and tender. Throw in the basil leaves, mix well and serve immediately.